We encounter obstacles on a daily basis. Whether it's an argument with a co-worker or a dissatisfied customer, employees must be able to overcome these challenges in order to reach their true potential. In this article, I'll share 6 tips for improving conflict resolution skills through online training. Employees must be able to effectively resolve conflicts in the workplace. Unfortunately, the soft skills and information they need to accomplish this is often excluded from corporate eLearning programs. Many organizations make task mastery a top priority but forget about the importance of communication, negotiation, and other interpersonal skills. This can decrease productivity and potentially lead to a hostile working environment. 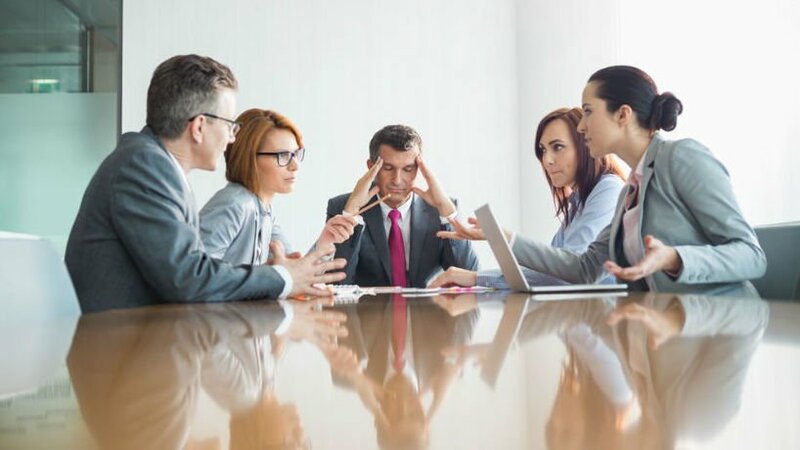 Here are 6 tips to help you equip your employees with the conflict resolution skills they need to become a productive part of the team. Active listening is one of essential building blocks of conflict resolution. In order to successfully overcome a challenge and empathize with others, corporate learners must be able to listen to their thoughts, opinions, and ideas. Encourage them to quietly listen during a conversation, then rephrase what they've heard in the form of a question. For example, their response might be: "Just to make sure I understood everything, you think that this approach is the best?" Not only does this clear up on any confusion, but it lets the other individual know that their voice is being heard. You can facilitate active listening in your online training course by pairing corporate learners, then invite them to use a web conferencing platform or instant messaging system to carry out a conversation or role play. Even self-guided online training courses can build active listening skills with the help of character-based simulations and scenarios. Include group collaboration activities that improve teamwork. Develop group collaboration projects that require corporate learners to work together and resolve conflicts on their own. Give them guidelines that they should follow if a conflict does arise. Emphasize the importance of working as a team and striving toward a common goal. Group collaboration activities also allow employees to see things from an opposing point of view. Every corporate learner has their own underlying beliefs and assumptions. The key is being able to respect that everyone is entitled to their own opinion without carrying out judgment. Conflicts involve thoughts and emotions. As such, it's vital to create emotionally-centered online training activities that help corporate learners acknowledge their true feelings, such as branching scenarios that feature a story. These branching scenarios allow them to explore their opinions and emotions in a safe environment. They can become aware of how their feelings impact their lives, both negatively and positively, as well as how well they can monitor these feelings and control themselves. A branching scenario provides immediate feedback. If an employee makes an incorrect choice they can see how their behavior and actions led to unfavorable consequences. Likewise, remaining calm and collected will result in the desired outcome, which positively reinforces their performance behaviors. Use simulations to stress the importance of non-verbal communication. The spoken word is not always the cause of conflict. In fact, some arguments may be the result of gestures, body language, and other non-verbal forms of communication. An employee might misinterpret a co-worker's expression and trigger an argument. Even a harsh tone or posture can be misunderstood. Simulations give employees the opportunity to examine a wide range of non-verbal communicators and gauge their reaction to a variety of stimuli. For example, they may discover that a shoulder shrug angers them. Instead of lashing out, they can work on their communication skills and resolve the problem before it escalates. Simulations can even help employees identify the most common gestures, expressions, and tones that occur during conflicts. Allow time for personal reflection. Conflict resolution online training is only effective if your employees know how to apply it in the real world. In many respects, it's a deeply personal process that they must relate to their personal challenges and relationships. For instance, employees who have to deal with difficult or frustrated customers are going to have different goals than managers who resolve conflicts between subordinates. It's important to give your corporate learners time to reflect after each online training activity or module so that they can see how the skills and information will be used in their lives. This time for reflection also gives them the ability to assess their own behavior and actions. If they lost their temper during a role play or didn't diffuse the situation they will now have the chance to see where they went wrong. The next step is acknowledging problematic beliefs, values, or assumptions and modifying them to prevent future conflict. Demonstrate conflict resolution in action. One of the most powerful ways to facilitate conflict resolution skills in online training is to let them witness it firsthand. Create online training demo videos that show both sides of the coin: how to successfully resolve a conflict and how to make matters worse. Ask thought provoking questions after they've watched the presentation. Encourage them to identify what went wrong and how the characters could have handled things differently in the eLearning video with the negative outcome. Then have them pinpoint the positives of the video with the favorable outcome. Sometimes all it takes is seeing a skill or behavior in action to deepen their understanding. Give your corporate learners the conflict resolution skills they need to overcome everyday challenges that stand in the way of their goals. In fact, to achieve best results you may want to make conflict resolution a part of your ongoing online training program. This gives them the ability to brush up on their skills and perfect their problem-solving approach on a regular basis. Are you striving to become a more effective eLearning communicator? Read the article 6 Tips To Become An Effective eLearning Communicator to discover the basics and benefits of honing your communication skills as an eLearning professional.